The Toronto Real Estate Board reported the leasing of 4,664 condominium apartments during the September to December 2011 period – up two per cent from the 4,563 units leased during the same time-frame in 2010. While the number of transactions was up, the number of apartments listed for rent through TorontoMLS during the last four months of 2011 dropped by seven per cent compared to the same period in 2010. Average condominium apartment rents for one-bedroom and two-bedroom apartments rented during the September through December 2011 period increased by four and five per cent respectively in comparison to the same period in 2010. The average annual rate of increase for one-bedroom and two-bedroom rents was above the rate of inflation in the second half of 2011. “The number of renters looking for apartments with modern finishes and amenities has steadily increased. The main source for these types of units has been investor-held condominium apartments. 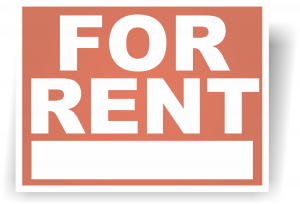 As renters have flocked to this segment of the rental market, upward pressure on rents has increased,” said Jason Mercer, TREB’s Senior Manager of Market Analysis. >>Click here for full news release.